SKU: FIB-OWL. Categories: Brooches & Clasps, Fibula Pins. The owl is often a guide to and through the Underworld, a creature of keen sight in darkness, and a silent and swift hunter. It can help unmask those who would deceive you or take advantage of you. 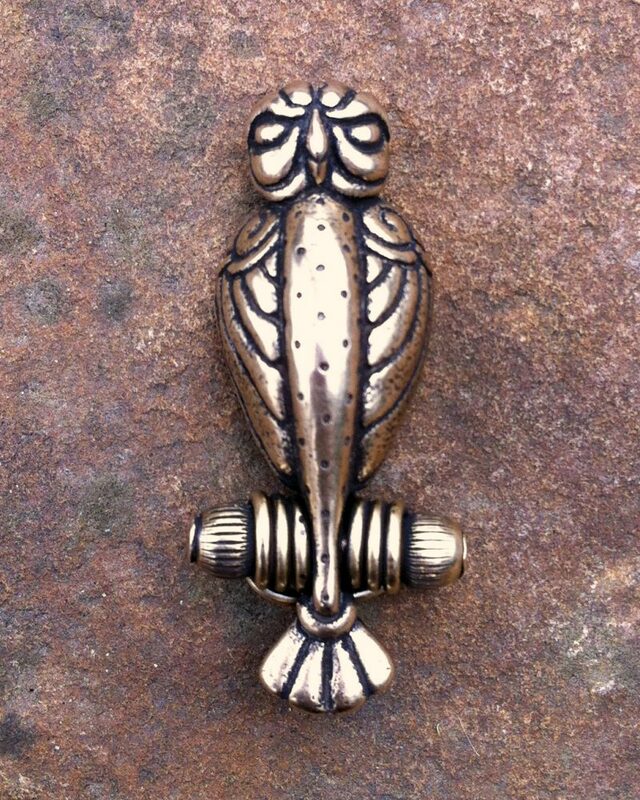 Our Owl Fibula measures 2.5” (64 mm) tall and is available in bronze and sterling silver. The design for this brooch is completely original, but it was is inspired by Celtic fibulas from 400 – 300 B.C.